Vietnamese currency is call the “Vietnamese Dong” and is represented by VND in any of the Currency Exchange calculators. 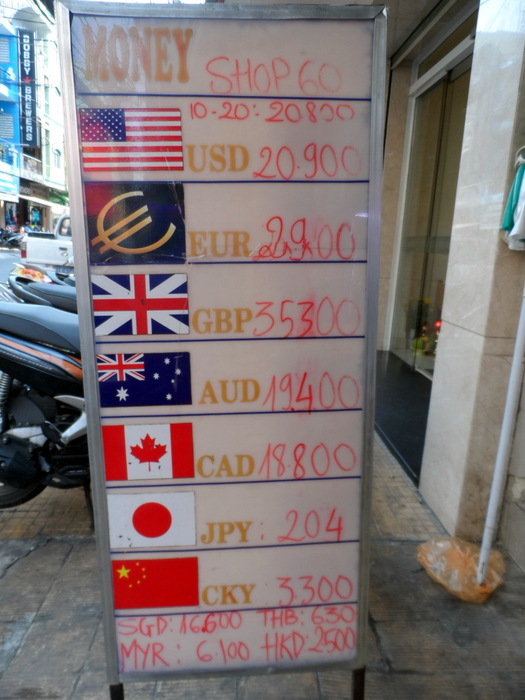 The exchange rate currently hovers around 20-21 000 Vietnamese dong for $1 USD and everything else fluctuates relative to that. 500 000 (~25 USD), 200 000(~10 USD), 100 000 (~5 USD), 50 000(~2.50 USD), 20 000 (~1 USD), 10 000(~50 cents), 5000 (~25 cents), 2000 (~10 cents), 1000 (~5 cents) and 500 (~2.5 cents). You will rarely see any of the 500 notes and you may receive a candy in your change at the supermarket in lieu of these. Vietnamese Dong coins come in the following denominations but are very rare to come by. 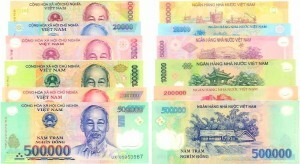 5000, 2000, 1000, 500 and 200 VND. the 200 000 and 10 000 (very similar in colour). Most people are honest and will point out your mistake but I have heard of street vendors scarpering quick smart after being handed the wrong note before the unlucky tourist realizes what they have done. 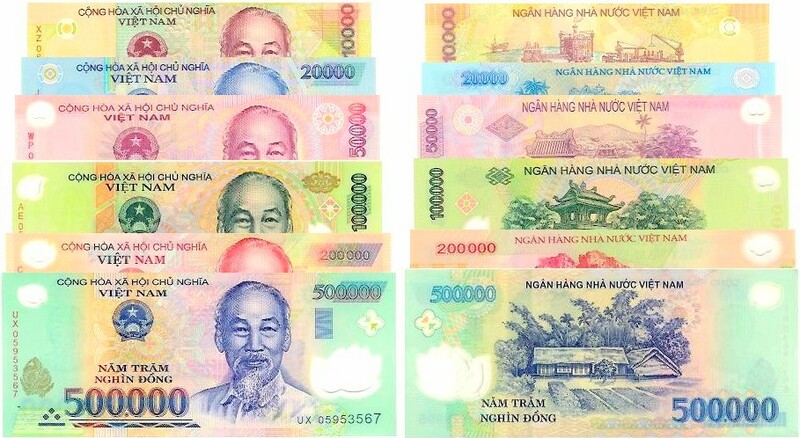 Also be aware that the Vietnamese notes 10 000 VND and above are made of a polymer and can often stick together. Make sure you “flick” the notes as you count them out or you might end up paying double. Outside the Tourist areas a 500 000 dong note can be extremely hard to change unless you are buying something substantial. 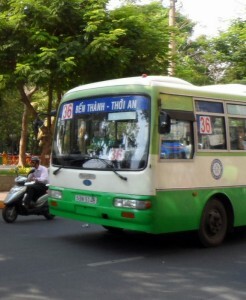 It’s extremely easy to exchange money INTO Vietnamese Dong (VND) in Ho Chi Minh City. All banks, most travel agents and hotels will happily exchange your USD and other major currencies for VND. Note that if you change anywhere other than an official exchange or a bank, rates will normally be slightly lower. If you are quoted higher rates from individuals you are probably being set up for a scam although some locals will give you a good rate just to obtain “hard currency”. If you are from Australia, UK, Europe, Japan or China OR travelling via Thailand, Singapore or Malaysia, there is no advantage in changing your money into USD before you come. Exchange rates will be proportionate to the country’s exchange with USD and you will save the double conversion spread. Some countries such as Canada and Hong Kong appear to give a slightly lower rate but the conversion to USD might also be higher. When I arrived in Ho Chi Minh City in April 2014, the rate at the official airport exchanges was slightly better than that in the areas surrounding the major tourist centres so it would make sense to change some up when you enter the country. There are ATM’s everywhere in HCMC that dispense Vietnamese Dong and most will accept foreign cards. Vietnamese banks that accept foreign cards include Vietcom, Sacombank, Vietin, Agribank and Technobank. The most common foreign bank ATM’s are Commonwealth Bank (Australia), ANZ (Australian & New Zealand), HSBC and Citibank although the last two ATM’s are far less common than the first two. Most Vietnamese Bank ATM’s will have a maximum withdrawal of 4-5 million vietnamese dong (~2-250 USD) but you can make multiple withdrawals until you hit your own bank withdrawal limit. Be aware you may be being hit by a foreign ATM fee every time you make a transaction. Commonwealth Bank allows withdrawals of up to 9 million dong (~450 USD) so makes a better option if you are withdrawing a large amount of cash. Note that some machines will only dispense 100 000 VND as the largest denomination. 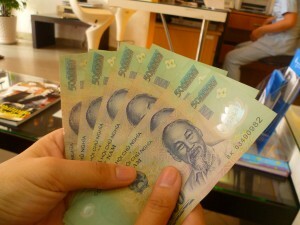 Even the biggest note (500 000 VND) is the equivalent of $25. Draw out more than a couple of hundred bucks and you are going to end up with quite a pile of cash. Ho Chi Minh City accommodation options start from as little as $5/night in a dormitory – Click Here for more information. Including tours, a rock bottom budget traveller could get away with less than $20/day possibly $15. A mid range budget would be around $35/person per day and the skies the limit for 5 Star although $100-120/day will see you living pretty luxuriously compared to what you’d get in other countries. Check out these guides for more detailed information and tips to save money. 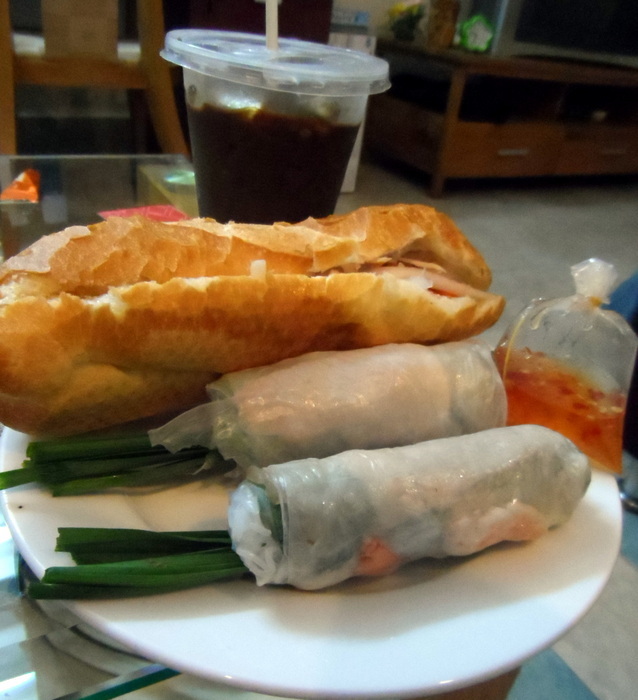 My Saigon: Saigon Secrets to Save Money in Ho Chi Minh City, Vietnam This book is like having a local friend in Saigon helping you save money and get the best of everything. Elly, gives out all the tricks and insider tips to get Vietnamese prices at every step of the way. Ho Chi Minh City (Saigon) Travel Cost Guide by Budget Your Trip (Author) This travel cost guide gives you insider’s information into real travel costs in Ho Chi Minh City, Vietnam (Saigon). A perfect supplement to other travel resources, for every type of traveler, from backpackers to resort hoppers.